If space is what you need and to stay in budget, this home will suite your needs. 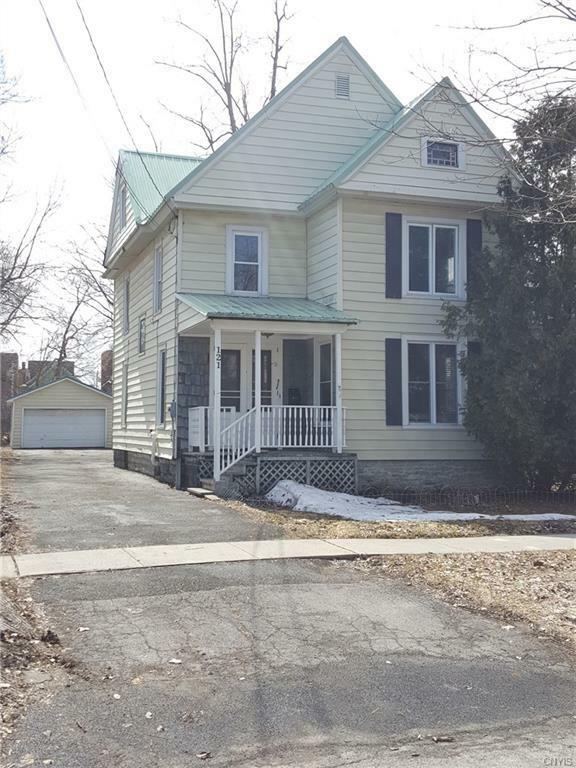 With an old style feel, this fully applianced home has 5 Bedrooms, 1 1/2 baths, a den(which could be a first-floor bedroom), formal dining, eat-in kitchen, laundry room, X-large living room w/wood burning fireplace, front foyer, detached 1 1/2 car garage and an easy-to-maintain yard. Hardwood floors throughout the first floor, newer carpeting, windows and central air. Many original features throughout add to the charm of this home. Close to schools, shopping and only 10-15 minutes to Fort Drum. Some cosmetic updating to make it your own is all this home needs. Don't miss out...call to schedule your personal viewing today.